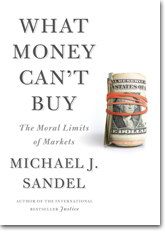 10 business books for a Happy New Year! 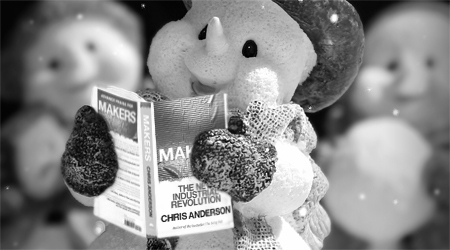 In search of book recommendations for the holiday season? The team at Business Digest has selected ten outstanding books for you to read curled up in front of the fire. Happy Holidays! What distinguishes exceptional CEOs from the rest of the crowd? 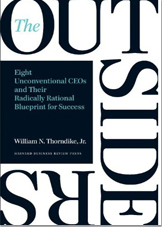 Readers interested to learn the secrets to running highly successful companies will discover the compelling stories, traits, and methods of eight unconventional CEOs in The Outsiders. The author of The Innovator’s Dilemma is back! 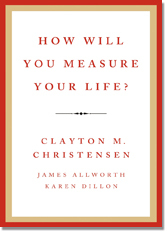 In his latest book, Clayton Christensen explores how to ensure the three building blocks of a fulfilling life: a satisfying career, enduring relationships, and… staying out of jail. The latter is no joke, says Christensen, who has several acquaintances that wound up in jail, such as Jeff Skilling of Enron fame. 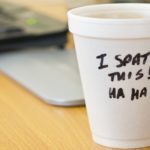 “The good news is that even if you’re late in joining the new frontier called social media, you no longer have to stumble your way through a cracked and dry land to find water. 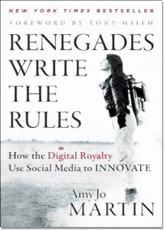 A path has been forged that you can follow,” writes Amy Jo Martin, founder of Digital Royalty, the social media company that developed Shaquille O’Neal’s Twitter strategy. 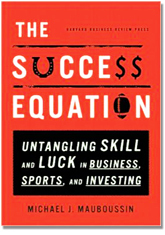 “Much of what we experience in life results from a combination of skill and luck,” writes celebrated author and leading investment strategist Michael J. Mauboussin, who in his latest work clears up the all-too-often blurry line between skill and luck, explaining how to tell the difference between the two ahead of time. Christopher Meyer and Julia Kirby show that emerging markets are inventing a new logic of value creation — one that emphasizes the social value of business rather than the importance of maximizing shareholder returns. 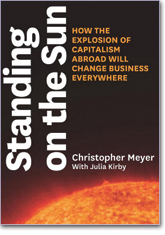 What are the implications of this profound shift in the history of capitalism? 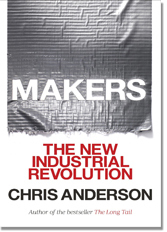 Chris Anderson, bestselling author of The Long Tail (Hyperion, 2006), proclaims the development of a new industrial revolution, led by numerous agile, autonomous, and interconnected individuals who have seized the means of industrial production thanks to new technologies such as 3D printing. Does this development signal the erosion of big conglomerates and the redistribution of the sites of value creation to new players? 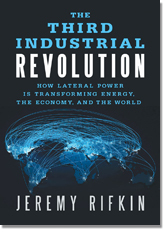 According to Jeremy Rifkin, economic and social changes always come from the convergence of new energy and communication technologies. With the concurrent rise of renewable energies and the Internet, the 21st Century is set to see the emergence of distributed capitalism — in other words, more cooperative and less centralized ways of doing business. 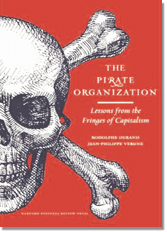 What do 17th-century sea pirates, 20th-century radio pirates, today’s cyber hackers, and future conquerors of space have in common? They are all key players in the development of capitalism, challenging it and contributing fundamentally to how it changes over time. 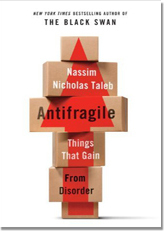 For economist Nassim Taleb, it is no longer enough to be simply resilient in the face of major disruption; the imperative now for businesses and individuals is to become “antifragile.” This means learning to thrive on disruption, like an immune system that becomes progressively stronger in response to viral attacks. Do not be afraid to confront disruption rather than seeking — uselessly — to avoid it!